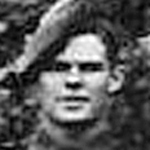 Private John Barry died  of wounds received at Dragone Hill, Salerno, on the 13th September 1943. He died at 67 General Hospital CMF . 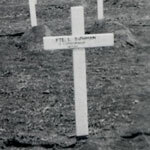 Rifleman Norman Benner is buried in the UK. At the time of his death No 2 Cdo were overseas. Fuller details are not known at this time. 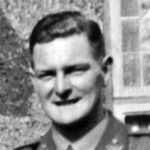 Captain David Birney, Officer Commanding 2 troop, died during the raid at St Nazaire. He was one of the commando contingent on ML 447 and OIC of an assault group. 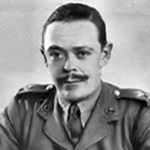 The date of his death is confirmed by French authorities, and the CWGC, whose records show that he died of wounds. 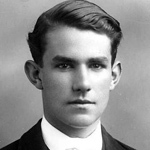 Born in India, David Birney later attended Trinity College graduating with a BA in 1938. 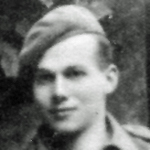 Private Alfred Blower, 4 troop, died  of wounds received at Dragone Hill, Salerno, on the 13th September 1943 . He died at 67 General Hospital CMF  . Extract from the Liverpool Evening Express - Friday 08 December 1944. 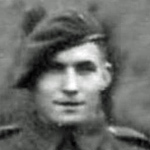 Gunner Peter Boon, 1 troop, died during operations at Splije, Albania. 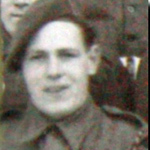 Lance Corporal John Brighty, 2 troop, died during Operation Healing 11, the action at Spilje Albania. 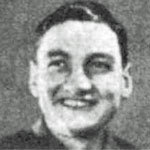 Trooper Norman Bunn, 2 troop, died of wounds in 11 Casualty Clearing Station, Brindisi, Italy. 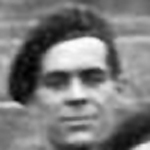 Rifleman Ronald Burns, 6 troop, died during the raid at St Nazaire. 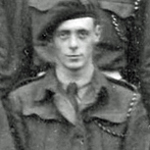 He was one of the commando contingent on ML 268. 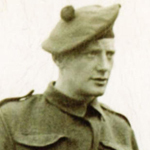 Corporal John Cameron died whilst No 2 Commando were based on the island of Vis in June 1944 and were taking part in operations against Brac, and other German held islands. 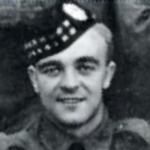 Lance Sergeant Norman Campbell died during the 6 week period in February/March when No 2 Commando were placed "in the line" in Italy under 5 Corps. The War Diary records that he was seriously injured, later dying of his wounds, during shelling that took place between 1110hrs and 1550hrs. Corporal Hugh Carter died in a training accident at Ringway during a parachute jump. 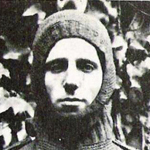 He was in the original No 2 (Parachute) Commando. More can be read about him on this link to the ParaData website. 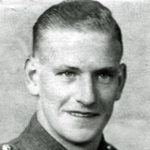 Corporal Cecil Cox, 1 troop, died on the 22nd March 1944 of wounds received on the 18/19 March 1944 during a raid on the village of Grohote in the island of Solta [1+2]. 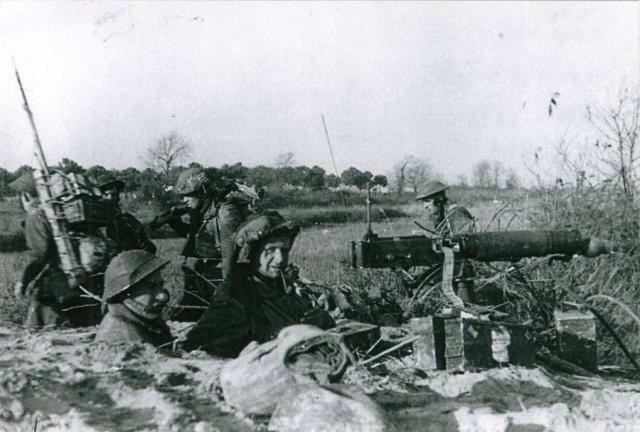 The No 2 Commando War Diary dated 23rd March 1944 states "Cpl. Cox, wounded in the Solta raid and who died of his wounds the previous evening, was buried in the British Naval Cemetery, Vis." . 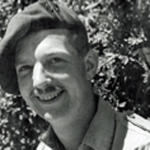 Corporal Ronald Davies died in a training accident. The No 2 Commando War Diary dated 27th March 1944 states "Cpl. 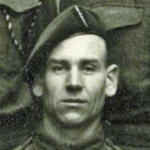 R.J. Davies (No 2 troop) accidentally killed from a rifle shot whilst instructing a Squad." His brother, 3909503 Private Douglas James Davies, aged 22 and serving in the Welch Regiment, died on the 25th December 1943 and is buried at Ancona War Cemetery. 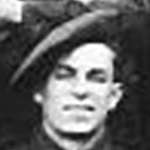 Private Thomas Diamond, 4 troop, died during the raid at St Nazaire. 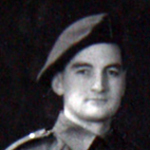 He was one of the commando contingent on ML 267. His squad was to be a small HQ reserve for Lt. Col. Newman. However in the chaos of the action as the ML's tried to land their Commandos, ML267 came under heavy fire and the ML began to burn. They were ordered to abandon ship which they did. 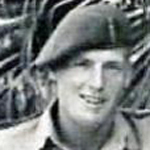 Driver Ralph Evans died in a parachute training exercise at Ringway whilst serving with the original No 2 (Para) Commando. He was the first casualty of the newly raised Commando units. 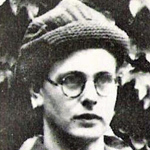 Corporal Norman Fisher, 6 troop, died during the raid at St Nazaire. 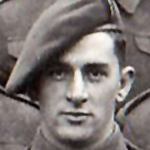 He was one of the commando contingent on ML 192. St Nazaire Society website/James Dorrian. 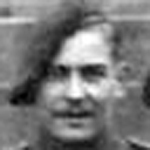 Lance Corporal Henry Fowler served in 2 troop and was a veteran of the St Nazaire raid. 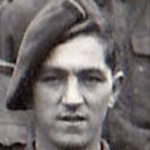 He was one of the commando contingent on board ML 443 and was evacuated back to the UK . The circumstances of his death some 10 months later are not known to this archive. 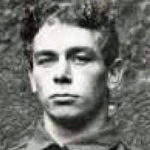 Lance Corporal Arthur Garratt, 2 troop, died during the raid at St Nazaire. 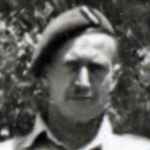 He was one of the commando contingent on ML 447. 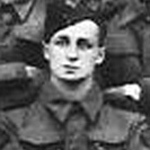 Private Frank Gray died during the 6 week period in February/March when No 2 Commando were placed in the line in Italy under 5 Corps. Private John Gwynne, 5 troop, died during the raid at St Nazaire. He was one of the commando contingent on HMS Campbeltown and received a posthumous Mention in Despatches. London Gazettte Supp. 37162, page 3494. 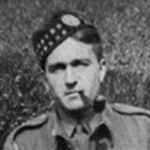 Lance Sergeant Peter Harkness, 6 troop, died during the raid at St Nazaire. 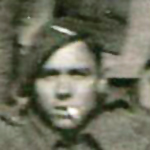 He was one of the commando contingent on ML 268. He is referred to in the last letter of his good friend LSgt Bill Gibson who also died on the raid. 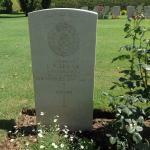 Lance Sergeant Maurice Harrison, 6 troop, died during the raid at St Nazaire. 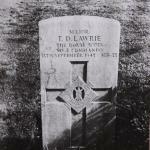 He was one of the commando contingent on ML 192. 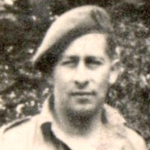 Corporal Charles Harrons, 1 troop, died after No 2 Commando had just taken part in the raid on Spilje, Albania. An entry in the No 2 Cdo War Diary dated 24th August 1944 states " Burial Service for Cpl Harrons (1 Tp) who died in hospital at Bari was held in the afternoon." Sergeant Stanley Hempstead, 2 troop, died during the raid at St Nazaire. 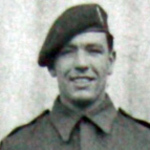 He was one of the commando contingent on ML 262. 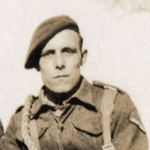 Lance Corporal Edwin Higginbottom died during the 6 week period in February/March when No 2 Commando were placed "in the line" in Italy under 5 Corps. Lance Corporal George Hudson, 6 troop, died during the raid at St Nazaire. 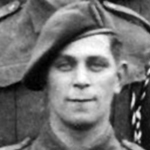 He was one of the commando contingent on ML 268. Gunner Edward Hughes died during the 6 week period in February/March when No 2 Commando were placed "in the line" in Italy under 5 Corps. 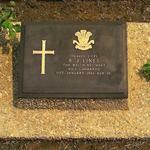 Lance Corporal Henry Hughes died during operations at Spilje, Albania. 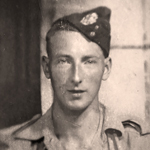 Rifleman George Hulme died during the period when No 2 Commando were engaged on operations at Sarande. Lance Corporal John Hunter, 5 troop, died  during operations at Dragone Hill, Salerno, on the 13th September 1943 and was originally buried by the 6th Yorks and Lancs. However his grave was never found . 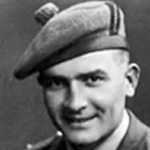 Gunner Ian Imrie died during the 6 week period in February/March when No 2 Commando were placed "in the line" in Italy under 5 Corps. 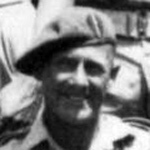 Lance Sergeant Joseph Jackson DCM died during the 6 week period in February/March when No 2 Commando were placed "in the line" in Italy under 5 Corps. 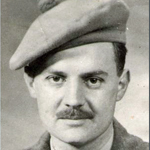 He was awarded the DCM for "gallant and distinguished services in the field." London Gazette Supp. 36983, page 1427. 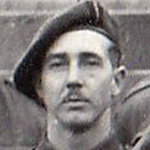 Captain Samuel Jenkins died during operations at Solta. 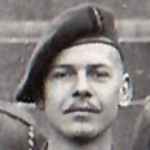 Two entries from the No.2 Cdo War Diary: 4th March 1944 at Vis - "Captain S.L. Jenkins departed with Lt McMenamin to Solta to recce for proposed raid"; 8th March 1944 at Vis. "Lt McMenamin returned with the news that Captain Jenkins had been wounded and captured by the Germans on Solta." 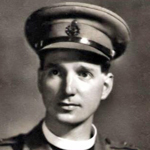 The memorial cross at St David's Church, Llanarthney Carmarthenshire, is inscribed to the memory of Captain Jenkins. 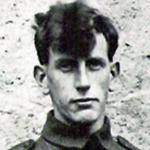 Private Francis Kelly died during the raid at St Nazaire . 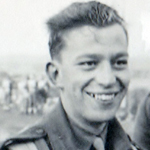 He was one of the commando contingent on MGB 314 . 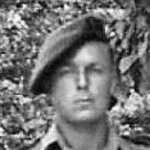 Lance Bombardier David King, 5 troop, died during the 6 week period in February/March when No 2 Commando were placed "in the line" in Italy under 5 Corps. The War Diary records that he was killed during shelling that took place between 1110hrs and 1550hrs. In the same entry it records that LSgt Campbell was seriously injured later dying of his wounds during this shelling. Fusilier Albert Lucy, 6 troop, died during the raid at St Nazaire. 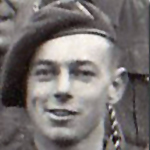 He was one of the commando contingent on ML 192. 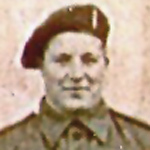 Private Frederick Lyons died during operations at Sarande, Albania. Lance Corporal Harry Mather, 4 troop, died during the raid at St Nazaire. 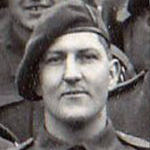 He was one of the commando contingent on ML 268. 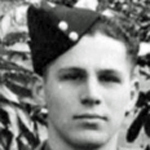 Bombardier Peter McDougall died of wounds in 11 Casualty Clearing Station in Brindisi, Italy. The No 2 Commando War Diary for the 30th and 31st July 1944 record some details of a visit there on the 30th after No 2 Commando had arrived at Monopoli, Italy, after their stay on Vis. This was just after the Commando raid at Spilje Albania on the 28th July 1944. Gunner David Miller is not listed as a Commando on the CWGC database, however, on their Grave Concentration Report his unit was originally shown as 2 Commando and then scored through to show as per his Regiment. Gunner Norman Mitchell died during the 6 week period in February/March when No 2 Commando were placed in the line in Italy under 5 Corps. 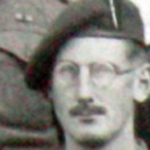 Regimental Sergeant Major Alan Moss, HQ 2 Commando, was shot and killed during the raid at St. Nazaire. 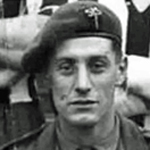 He was one of the commando contingent on ML 267. 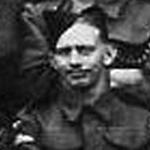 Alan Moss served in the Liverpool Scots QOCH TA, then No.4 Independent Company and finally No. 2 Commando. He was a Sgt. in No.4 Ind. Coy. 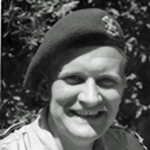 He was the first RSM of No.2 Commando when it was formed. On the 28th March 1942 along with many from No. 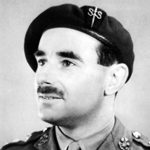 2 Commando he took part in Operation Chariot, the raid on St Nazaire. His squad was to be a small HQ Reserve for Lt. Col. Newman. 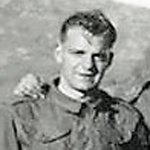 Lieutenant Barry O'Meara, 1 troop, was killed by a mine at Grattacoppa, which is approximately 10.5 miles north of Ravenna. Guardsman Reginald Pash, 5 troop, died  during operations at Dragone Hill, Salerno, and was buried by the 6th Yorks and Lancs Regt. His grave was never found . Corporal Albert Phillips died in a climbing accident during training at STC Lochailort. The local register of deaths states “Multiple injuries. Accidentally killed by falling over precipice. Instantaneous.” It notes the informant as being the Adjutant at STC Lochailort. 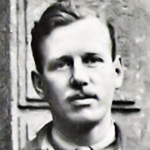 Private Frederick Radcliffe died  during operations at Salerno, this date being that of the action on the hills by the village of Dragonea, above Vietri sul Mare . Frederick Radcliffe was the youngest son of Mr. and Mrs Radcliffe, 9, Lorton Street, Liverpool, 8. He was an old boy of Chatsworth Street School. A brother is a prisoner of war in Germany . No 2 Cdo War Diary September 1943. Rifleman Thomas Roach, 6 troop, died during the raid at St Nazaire. 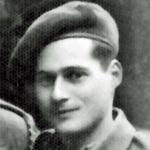 Lance Corporal Ernest Rosenstein died during the period No 2 Commando were engaged on Operation Healing 2, a raid at Spilje, Albania. The precise details of how he met his death are not known by this Archive. Lance Corporal Anthony Shemmonds, 6 troop, died  during operations at Dragone Hill, Salerno. Map ref. 607307 approx. He has no known grave . 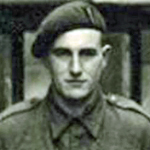 Lance Corporal James Smith died  during operations at Dragone Hill, Salerno, on the left flank North of Jaconti. He was initially buried 20 yards past a T junction (Map ref. 600310) from Dragone to Padacouni, and 20 yards in from the road, ie. South on the left hand side. Map ref. 600309. His body was never found . 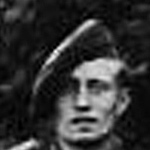 Corporal William Spaul, 6 troop, died during the raid at St Nazaire. 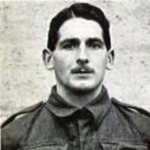 Corporal Reginald Tomsett, 6 troop, died during the raid at St Nazaire. 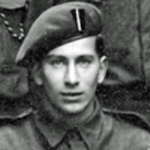 He was one of the commando contingent on ML 192. 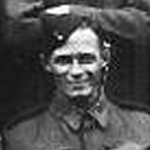 Private Frederick Trigg MM died during the period when No 2 Commando were based on the island of Vis engaged in operations against enemy held islands. 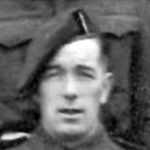 He was one of the ten Commandos who took part in the earler Operation Musketoon on the 20th September 1942. Seven were captured and executed. Pte. 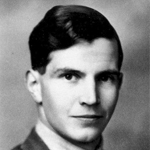 Trigg escaped and made it back to the UK where he was awarded the Military Medal for his part in the raid. 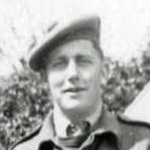 He then rejoined No.2 Commando. Guardsman George Walton, 2 troop, died during the raid at St Nazaire. 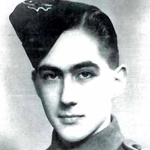 He was one of the commando contingent on ML 447. 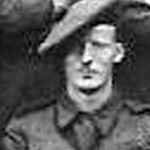 Lieutenant Philip Walton, 1 Troop, died during the raid at St Nazaire. He was one of the commando contingent on ML 457 and section officer of a demolition team. 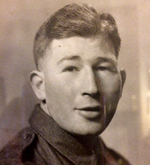 The circumstances of the death of Rifleman Albert Westwood are not as yet known to this archive. 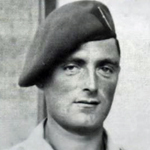 In the weeks before his death his Commando were engaged in operations at Lake Comacchio, Italy. 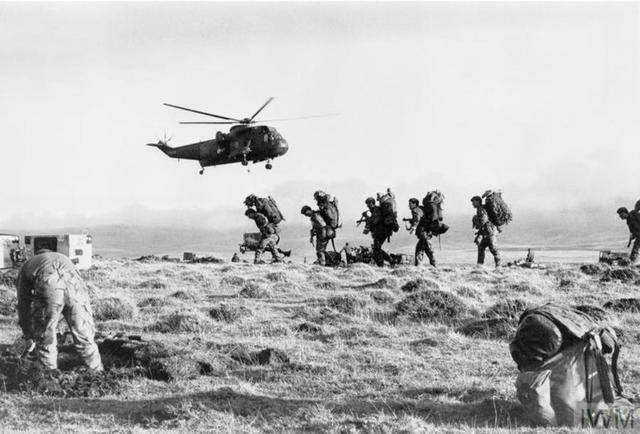 Private Kenneth Wilson died during a No 2 Commando training exercise. 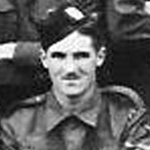 His death is recorded in an entry in the No 2 Commando War Diary for 3rd June 1942 "Exercise Doon - Dvr Wilson killed at Irvine". 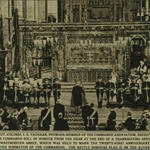 An entry for the 6th June states " Military funeral in the afternoon"
No 2 Cdo War Diary National Archives ref. WO 218 /33. 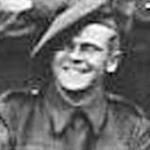 Lance Sergeant Leslie Woods died during the 6 week period in February/March when No 2 Commando were placed in the line in Italy under 5 Corps.